A meditation room is the perfect way to wind down and refocus after a long day. These tips will help you adorn your tranquil space for the most relaxing experience. With all of the stress from this busy world, it is no wonder that so many people are trying to find ways of escape. Permanent vacations on sandy beaches may not be possible for your lifestyle. Dealing with stress is a part of life, but a way to unwind after crazy days is by creating your own meditation room. A space in your home dedicated to peace, quiet, and clearness is important for a healthy, balanced life. The size of the room isn't too important when it comes to meditating. Ideally, you will have a room that brings in natural light, though you can use artificial light if needed. Find a location in your home that’s quiet and away from the TV room or a child's playroom. Repurpose other areas of the house. You could create your meditation room in your garage, basement, or attic if no additional rooms are available. Even if those rooms serve other purposes, you can still create a “quiet corner” you can use to meditate in. If you are trying to meditate in a room that’s full of cluttered disaster, it will fill your mind with similar garbage. Keep your meditation room free of physical distractions and your meditation session will improve greatly. The emptier, the better. It might be tempting to use the room as storage, but remember that your meditation room serves only one purpose. 1. Yoga mat: You can use a mat for comfortable sitting while meditating or for yoga if it's part of your routine. 2. Foam blocks or pillows: These are good tools for sitting up straight while meditating. Some find it uncomfortable to sit for prolonged periods of time without back support. 3. Sheer or light blocking curtains: Pick curtains dependent on the feel you're after. Sheer curtains will bring in natural light and light-blocking curtains will keep you in the dark. 4. Small table: Use a small table, preferably at sitting eye-height. This can hold candles, incense, oils, and a small lamp for the evening. While it might be more difficult to find a place that’s quiet outside, you can try to find a quiet spot where you'll only hear birds and light sounds. Find peace in hiking trails or parks during a slow time of day. 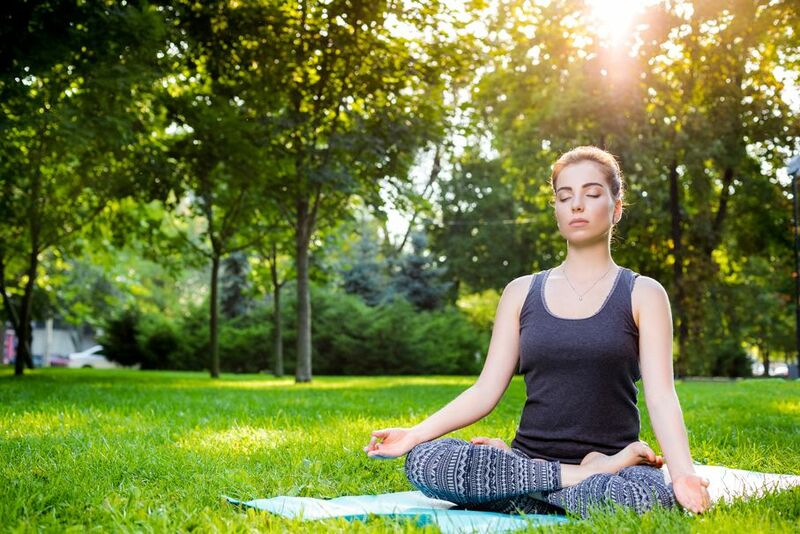 You might find that bringing outside nature to your indoor meditation room can be helpful in providing you with some peace. Plants and water fountains can help you remain calm. If you can’t bring nature inside, you can use nature soundtracks easily found online. Music intended for meditation is also a good way to create calm in your mind. 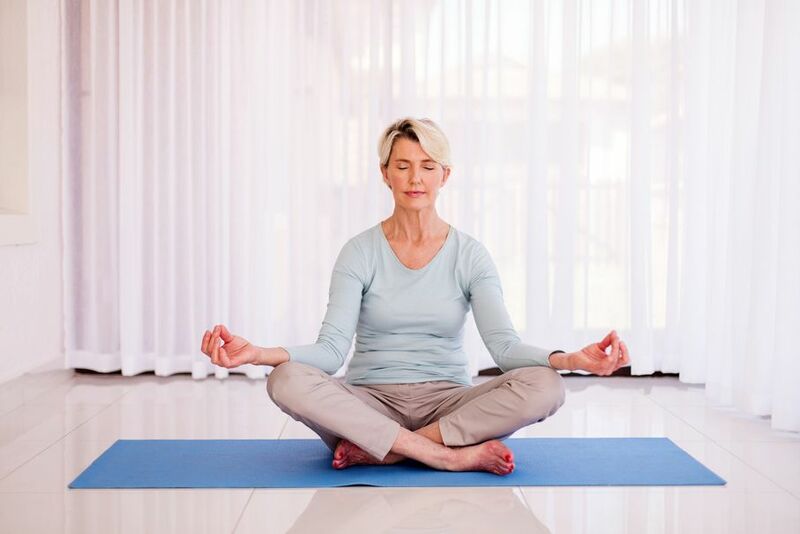 Once you have your meditation room set, there are a few more things you can do to make the space more beneficial. Remove distracting technology. Make sure that your phone's only purpose is to play nature sounds or meditation music. Don't check emails or social media, this will distract from the entire purpose of meditating. Turn off the ringer completely off. In addition, consider aromatherapy. It can be very therapeutic and it is an easy addition to your relaxation routines.